Smoking, alone, accounts for $2.1 billion in the annual cost of health care and worker absenteeism for Tennesseans. Childhood trauma is costing Tennessee billions of dollars a year as those kids become adults with health complications. The Sycamore Institute has released a study showing a hefty price in medical bills and missed work, much of it caused by a familiar problem — smoking. 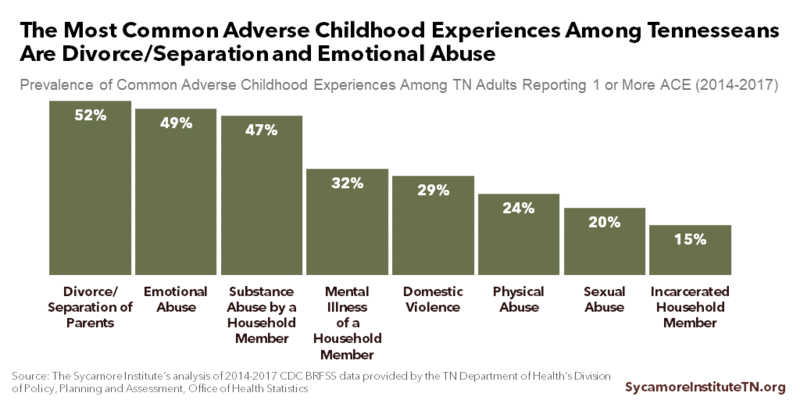 Roughly 60 percent of Tennesseans experienced some kind of adverse childhood experience, or ACE. The most common are divorce, emotional abuse and substance abuse by someone else in the household, in that order. Having an incarcerated family member can also be a factor, as can domestic violence in the home. The more adverse experiences, the more likely someone is to smoke as an adult. More than a third of all Tennessee adults with four ACEs smoke, according to the Sycamore study. That's where much of the $5.2 billion cost estimate for 2017 comes from. A second big medical expense, approaching $1 billion annually, is related to depression. And depression is the most likely health effect from adverse childhood experiences. "Some people are not moved by the statistics. Some people are not moved by the actual human toll," says Ingrid Cockhren, regional facilitator for ACEs Connection, a childhood trauma nonprofit. "But they are compelled by the money that is needed to address these issues." Cockhren, who is also a psychology instructor at Tennessee State University, hopes policymakers will be inspired by seeing the hidden costs to invest more in the root causes of health problems that stretch back to childhood. But as a new mother herself, Cockhren says she's also been considering a parent's role in giving a child the most opportunity to succeed. Cockhren grew up in a household with four ACEs, which have required counseling to overcome. "They model their behavior after the adults in their lives," she says. "So no matter what you say, what your routines are, what your habits are, what you do every day, is really what your child is going to model themselves after." The Sycamore Institute's executive director, *Laura Berlind, says the the existence of adverse experiences do not doom children, but everyone should know there are long term risks. "I want everyday, normal people to be aware of this," Berlind says. "It really doesn't matter if you work in corrections or health or mental health; it's all interrelated." The Sycamore Institute study builds on existing survey data of more than 23,000 Tennesseans. Centers for Disease Control and Prevention maintains the Behavioral Risk Factor Surveillance System, which asks about health-related risk behaviors and chronic health conditions. Berlind says she wants legislators to consider focusing more work "upstream" of social problems. Rather than stopping at education, Berlind suggests find ways to influence home life. "It's hard and it's messy, but that's where the real work is, on that stuff." *Correction: A previous version of this post misidentified Laura Berlind. We regret the error.